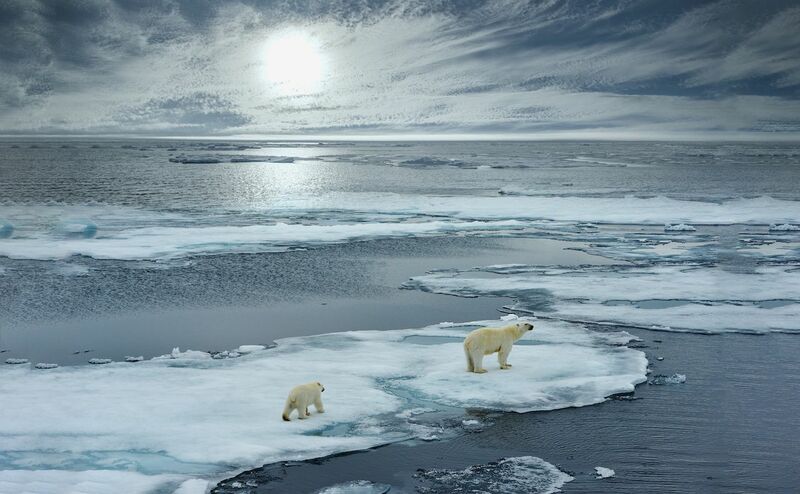 Though born on land, polar bears spend most of their lives on the ice floes of the Arctic, infrequently encountering humans in the desolate tundras of the northern hemisphere. That said, plenty of viewing opportunities exist around the world where people are able to witness these unique animals uninterrupted in their native habitat. Keep in mind that polar bears are large, unpredictable animals, and endeavoring to see them should be done with an awareness of how they behave and the risk that comes with proximity. 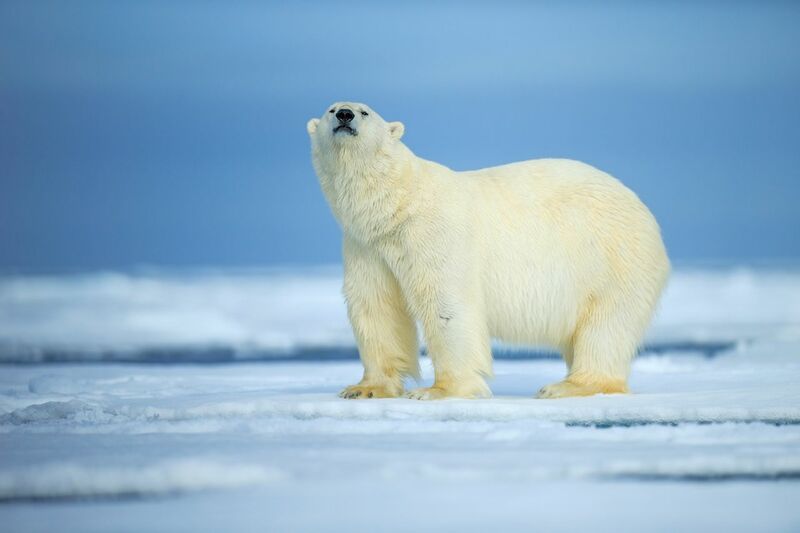 In July, a polar bear was shot down when cruise employees entered the domain of the unlucky animal in the Svalbard archipelago; therefore, we have taken care to ensure that the experiences listed below take an ethical approach to their business. With a nickname like the “Polar Bear Capital of the World,” Churchill tops the list for wild-polar-bear-viewing opportunities. 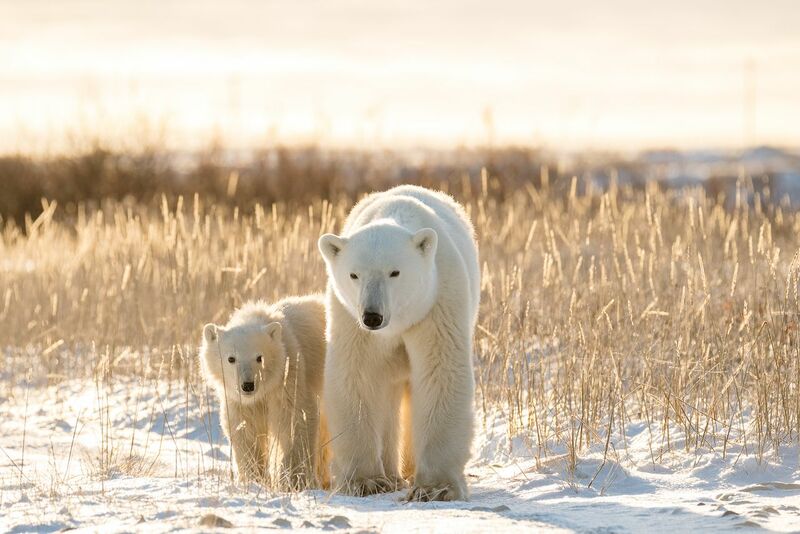 Churchill Wild is the preeminent Arctic safari outfitter with tours ranging from photography-focused excursions to lodging in luxury while spotting the great white bears. With a strong commitment to sustainability and responsibility, the happiness and safety of both guests and animals are paramount, so you can explore the ice with full confidence in your host. 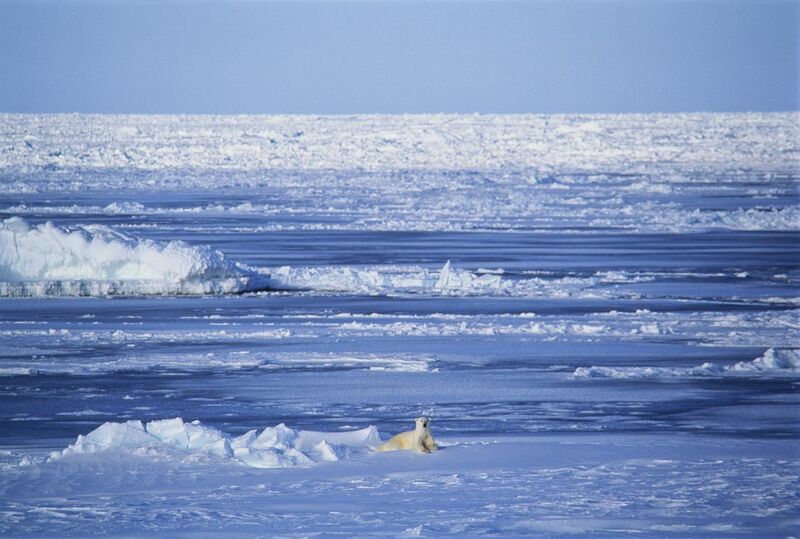 This is the best spot for increasing your chances of glimpsing a polar bear in the wild. The Norwegian archipelago of Svalbard is extremely far north, sharing a latitude with the top of Greenland. 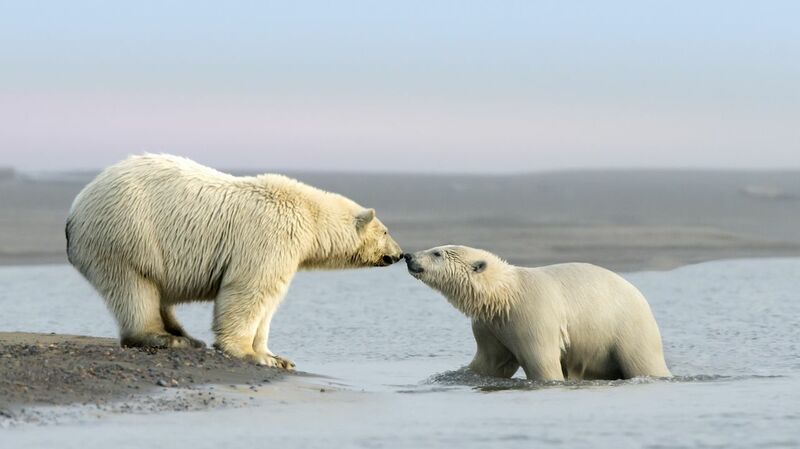 It’s a great place to see polar bears from a ship rather than on land (witnessing polar bears from a distance is the best way to ensure mutual happiness in the encounter.) Basecamp Explorer is a Svalbard outfitter with wildlife-viewing expeditions, as well as bespoke tours for those who seek a more customized experience. The company is outspoken about not disturbing the polar bears, so you know your curiosity won’t be satisfied to the detriment of the animals’ well being. Alaska is a giant, wild place, and the people who live and work there are seriously dedicated to the outdoors. It’s also home to a relatively large indigenous population, making for a great opportunity to not only explore ethical wildlife experiences but also contribute to local livelihoods and cultural appreciation. Akook Arctic Adventures is an indigenous-run outfitter in Kaktovik that offers polar bear tours by boat. Polar bears gather here in significant numbers, and that combined with local expertise makes for a really good chance at bear sightings. Wrangel Island is about as far east as you can go in Russia before hitting Alaska. The plus side of this isolation is that there are not many people around, so wildlife is able to flourish, polar bears included. In September 2017, when a bowhead whale beached on the Arctic island, 230 bears came to feast on it — a sure sign that you should be able to spot at least one on Wrangel Island. Heritage Expeditions has been running cruises around Wrangel Island since 1993, offering viewing expeditions by tundra vehicle. This will get you closer to the animals though it increases the opportunity for conflict. Still, this is an extremely remote part of the world and one of the most unique places in which to witness wild polar bears. Visitors to Iceland often wonder how they miss polar bears when visiting, unaware that they are much more likely to show up on its giant neighbor, Greenland. So, if you’re deciding between trips to Iceland and Greenland, and polar bears are a priority, you know where to go. That said, expect to spend some serious cash, and don’t get your hopes up on actually seeing a bear. They live in the far north and rarely come to land, so a coastal expedition cruise is the way to go. 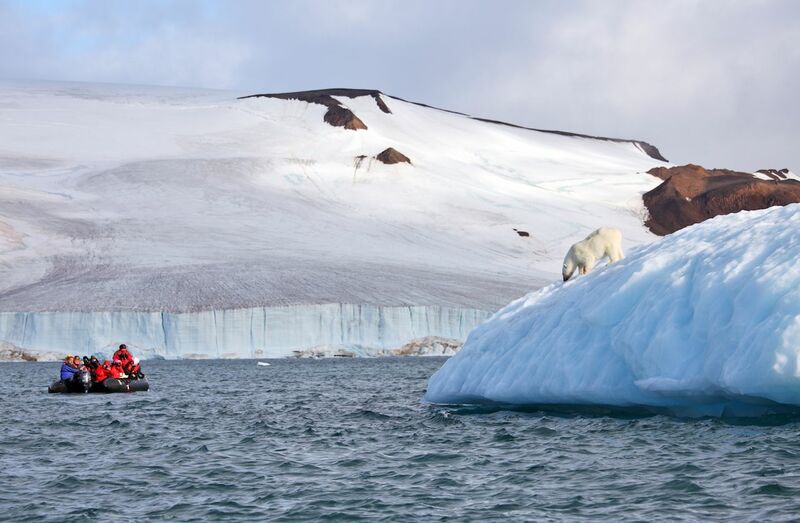 Aurora Expeditions is an Aussie outfitter with a focus on responsible tourism that will give you a great Arctic experience with or without polar bears (but hopefully with). Five-hundred-and-sixty miles below the North Pole sits a Russian archipelago devoid of non-military human life that’s teeming with wildlife. Spot polar bears among the 191 islands of Franz Josef Land — you may be the first person these bears ever see. Quark Expeditions is experienced in all things polar, bears included, and makes for a great host to take you deep into the isolated Arctic. 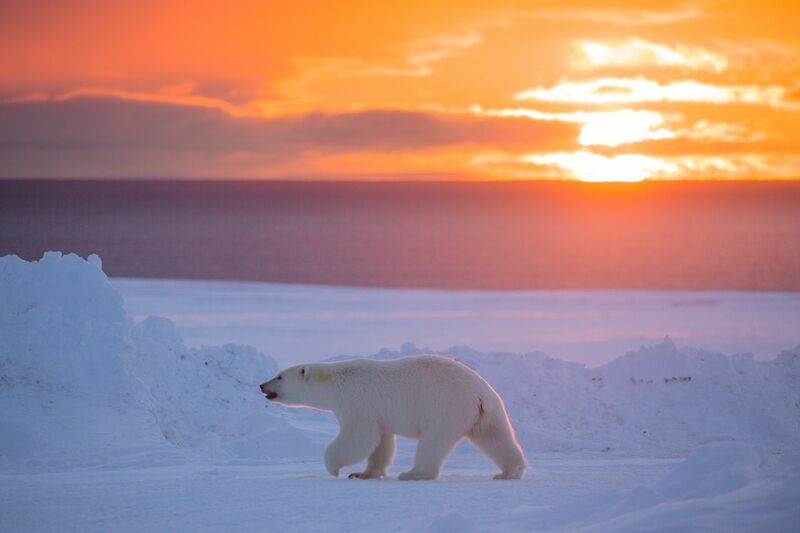 Its focus on sustainability and responsible travel means never having to worry if the polar bears’ best interests are being taken into consideration. Nunavut is the newest Canadian Territory and one where you can spot all sorts of amazing Arctic wildlife, including polar bears. The west coast of the Hudson Bay is the route of the polar bear migration when the animals are in search of sea ice, hence the nickname “Polar Bear Alley.” Traveling with Arctic Kingdom, you’ll have the unique experience of a 50-minute, fly-in safari along the coast from Churchill, Manitoba, to a camp south of Arviat in Nunavut, where you’ll stay for eight days. These expeditions only include eight people, so you will be away from the crowds and able to look very closely at these majestic creatures. The cabins are strategically placed to increase the chances of a polar bear encounter, so make sure to have a camera ready.